Ah, finally found it. Finished download the previous 10 games at Feb 4th, accidentally found the 11th game and 2 others in “A” section when try to find a Steam RPG game. About 1 Gb size with medium length story with the previous couples, sounds more fun. Thanks admin, as always. 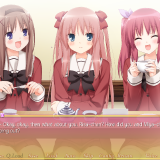 Around 10th game, series became licensed by MangaGamer (previous releases were fantranslations), so title format kinda changed (Added “A” in front – I always use official titles when posting/sorting games). Hint for future: Open up https://erogedownload.com/downloads/ and hit ctrl+F to make searching easier. downloaded the rar 2 times. Can any1 give me a working versin pls? Can you post seven days with a ghost? Can someome tell me what happen with translation progress with Sono Hanabira 11-18? There just something about this series that puts me off. I think I’ve narrowed it down to the art style. It’s something to do with how almost every character’s face and body type is shaped the same so more than 50 percent of the cast looks like the same character but just given a different hair style/colour. How come the Linux and Macintosh versions gets ripped from your newer uploads? Is there any reason for this? thank you for this admin! i hope Evenicle will be uploaded here when it finally comes out. 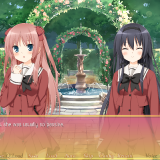 that’s the VN i’m incredibly excited for! I opened up the site to the page of latest updates, saw this at the top of the page and thought YES! THERE IS A GOD! So question: Is this a sequel, sidestory or what because I saw its VNDB page and it has so many prequels, unless they’re unrelated to each other! It’s pretty complex though the vndb has a handy relation flowchart detailing which are direct sequels and which are sidestories. They are, in a loose sense, all related to one another with the difference being which characters are the leads the story is centered on. Some pairs have several entries for themselves (like the New Generations games having a second game based on just Rina and Nagisa). Others have the one game. This one especifically has several returning couples but the lead couple is brand new. There’s an actual sequel story for this couple as well but it’s obviously not translated. Thanks for explaining but there is one point I want to know: Is it safe to play this game without knowing of the other games?! In short, which game to start with?! It is… kind of. 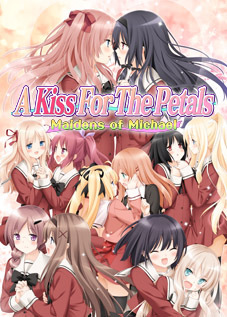 This is the first game featuring Risa and Miya (the second and third games are untranslated while mangagamer officially released the fourth game about them several years ago for some weird reason). 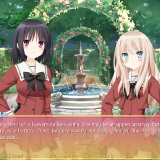 There’s side characters who are mains from earlier games though, like Takako and Runa from the ninth game so a small dose of spoiling is inevitable. This is the 11th game so if you actually want to make absolutely sure, the other 10 games are available in english on this site (they are also short if I recall). Thanks for the precise answer: I shall download and play to my heart’s content then! And since I mentioned New Generations, Maiden’s of St Michael is a prequel of sorts to it and where the “Best Couple” contest comes from (which The Annex girls unofficially mimicked). anyone else having trouble getting this VN to start? Cool. Not really interested in Yuri or female protagonists myself. Is it me or did they change Nanam`s Voice Actor??? Yes, they have indeed done so. Although i think not for the better, since her new VA seems to think sqeualing means kawaiidesu~~. yep agree with you the old one was much better this one is just annoying and do you know why they changed it? Wanna read something funny? I ve just read that Nanami had a different VA in every game. It s just that this one in particual has a completely different voice pattern. Strangely enough she s the only one to ever recieve a new VA. Interesting, is that true? Sometimes it’s hard to tell at times since voice actors tend to use pseudonyms in Eroge (sometimes they can have several pseudonyms). Heck, that was fast. keep it up! Yuri is always welcomed. 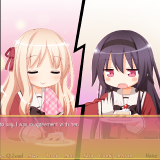 Personally I’m fond of the SonoHana Games and I enjoy them, Thanks. And you ^ If you really want and like it THAT much try BUYING it! 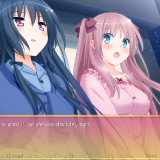 Yuri vns, especially big full size ones are rare and niche enough as it is – what do you think will happen to these small devs who make them if everyone pirates it? Off to steam to buy this. 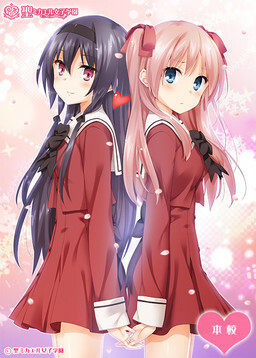 Anyone else here who considers themselves a big yuri fan, please do the same and don’t be a hypocrite. does the steam version have H scenes? 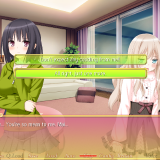 thanks, id like to support this eroge, it really is one of the best yuri vns out there. don’t worry too much about it piracy is just one of those things that will happen regardless those who purchase will still purchase and those who planned to pirate weren’t going to become customers regardless. 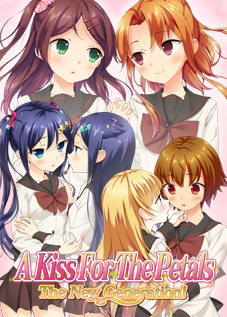 well, I already bought it in mangagamer, an obvious well-deserved purchased and support. I have been waiting this vn for years, I can’t thank you enough for uploading this gem, really thank you.